Chapters across the state compete for the prestigious title of Chapter of the Year. The top 20 chapters in the state are recognized as Superior chapters. To achieve this status, top chapters submit their packets early to receive bonus points. Certain activities, like Publicity and Community Service Projects, are marked in the Chapter Planning Guide as Early and are eligible to receive bonus points. Submit your progress on the Chapter of the Year packet by December 5 to receive an extra 10% for activities eligible for early points. Best of luck as your chapter strives to become one of Georgia FBLA’s Chapters of the Year! 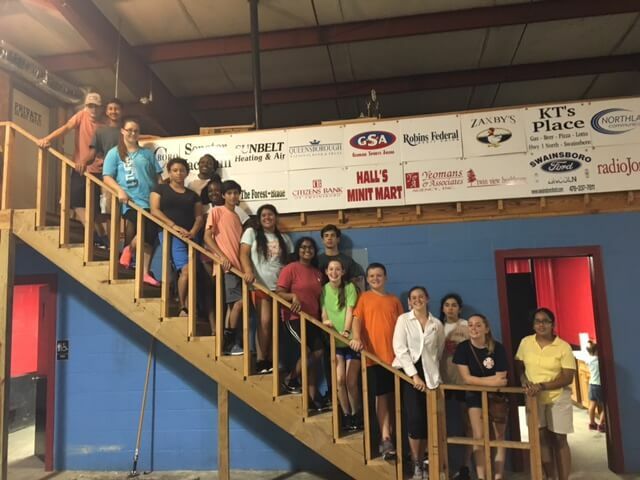 On Monday, August 15, Swainsboro High School Future Business Leaders of America gathered at the Southeast Georgia Jaycee Fairgrounds for the annual Spirit Sign Painting Social. President Curstin Burke said, “This is a fun way to get everyone involved in an FBLA activity.” Members drew and painted spirit signs that will be featured at Swainsboro Tiger home football games. This activity helped the members kick off the beginning of the school year and gather as an organization for a fun event. It also fostered school pride for the students. “This activity helps us make new friends and work together to show our school spirit,” added Vice President Esmeralda Hernandez. Members got to know each other better and developed teamwork skills. Once the signs were painted, members enjoyed a dinner of hot dogs, chips, and desserts. SHS FBLA advisers are Kelli Torpy, Mary Mason, and Cherie Hooks. As we begin the 2016-2017 school year, an important group FBLA needs to target are people who have yet to learn what FBLA is or what it can provide. The best way to provide students with this information is through an informational meeting at the beginning of the school year. It can be hard to discover what information to provide students so this guild is to help you make a presentation for them to remember! FBLA stands for the Future Business Leaders of America. It is a non-profit organization which prepares today’s students for success in business leadership. At Region and State Leadership Conference, students compete in events testing their business knowledge and skills. FBLA offers regional, state, and national conferences which promote leadership development. FBLA conferences are a great place to reach our audience face-to-face. Use this presentation as a recruitment tool every year to inform students on how FBLA can change their life…all they have to do is join today! Good luck and happy recruiting! 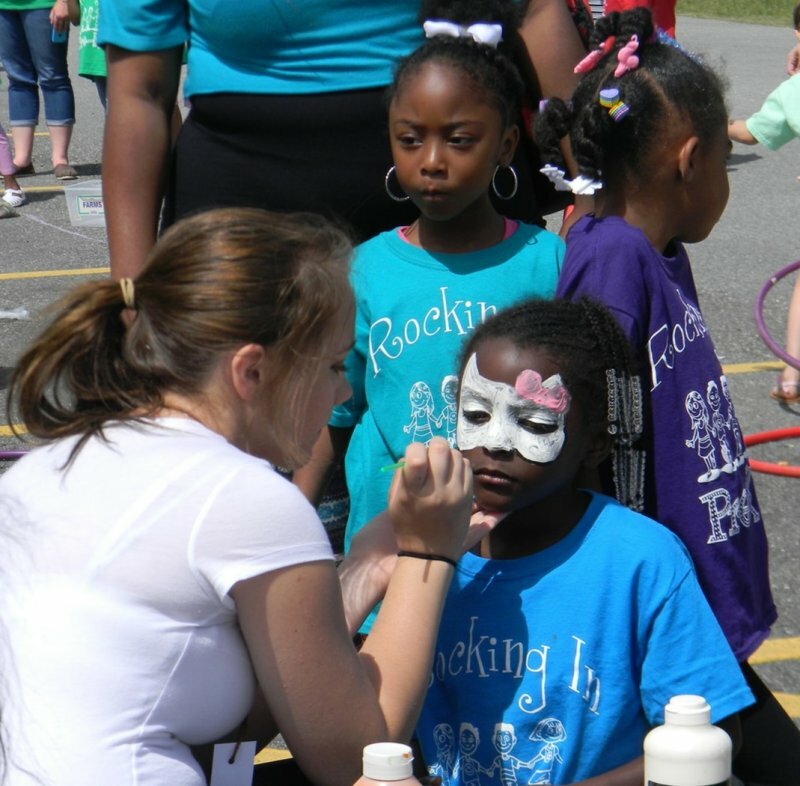 Swainsboro High School FBLA members volunteered at Swainsboro Pre-K Fun Day on April 21. Students helped paint faces, man the games, and serve lunch to the kids. Students had a great time helping the Early Head Start and Pre-Kindergarten students celebrate their year of school. This was a fun and rewarding experience for members. Students learned about responsibility and about taking care of children. The school was pleased with the politeness and courtesy of the FBLA members. Overall, volunteering at the Pre-K Fun was a wonderful and fun experience for Swainsboro FBLA. 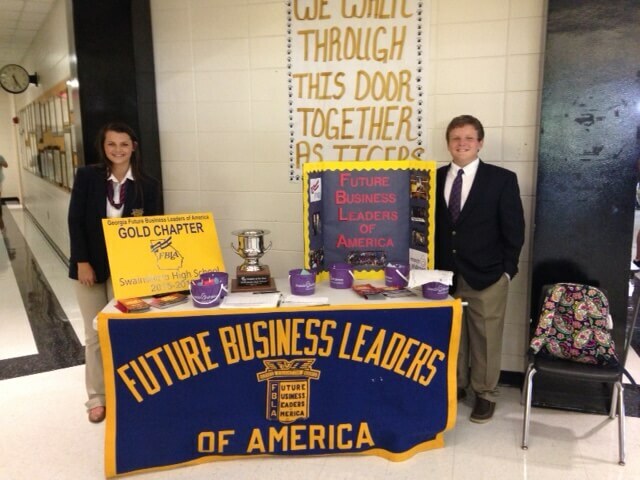 FBLA officers attended the Swainsboro High School Open House on Thursday, July 28 from 4:00 pm to 7:00 pm. They set up a table displaying awards from previous years, brochures, and treats. Officers talked with students and parents interested in learning about FBLA and discussed the various conferences, competitions and service projects FBLA participates in at SHS. Everyone was encouraged to join. Fundraiser forms were also available to help students pay their dues.